That's odd... you don't seem to be affected by the bug. Here is the test program i made, it will just output the version number. 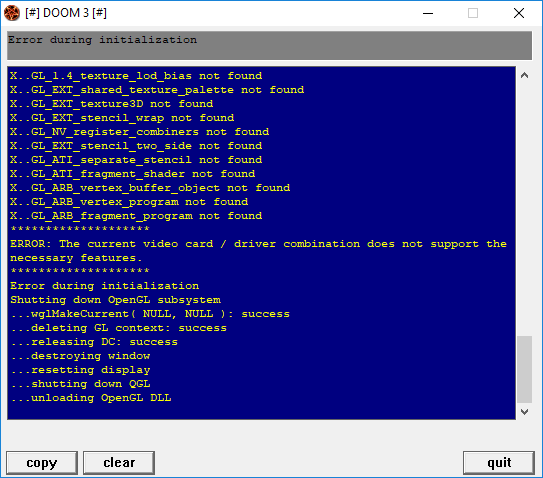 There will be error messages for any program that requires a opengl version higher than 1.1, yes. I had the same problem today, did you find a solution? Could you modify the first post and remove all the lines starting from "Often installers ask ..." up to "Here's the compiled version..." ? However, I seem to have a similar issue with the windows explorer, can anyone confirm or is it just me?